Two colour ways of our classic mens Harris Tweed waistcoat from our recent shoot in St Conans Kirk. 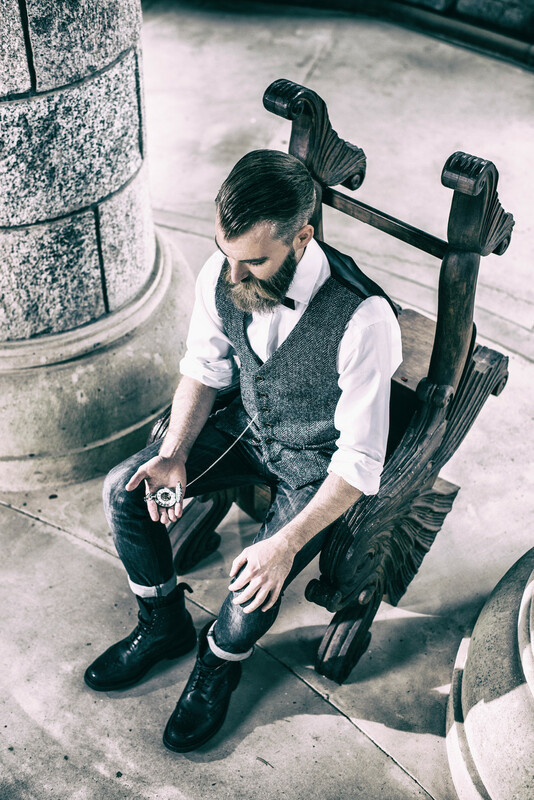 All of our waistcoats are handmade in Scotland and feature a tailored back panel design to compliment the male form giving the perception of a broader shoulder and slimmer waist. Perfect when matched with skinny jeans, a sharp white shirt and either of our new neck tie designs for a dandy look or put together with classic denims for a more relaxed city gent look. Available with bespoke pocket details to accommodate your iPhone or Samsung mobile, along with choice of metal or wooden buttons with highlighted stitching detail. You really can make this garment your own with our 'to order' options.